Today a lone pilot whales was found floating in The Cove dead. He had struggled so to stay up with the others pilot whales as they were forced back out to sea but the trauma was too much. 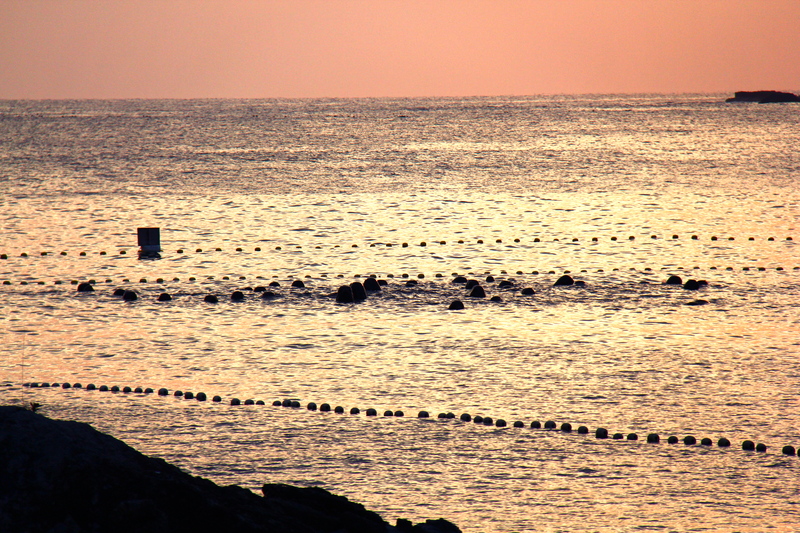 Taiji is a town that will always be known for their horrific treatment of dolphins. They have made their own new history. Over the past three days, there has been a tangible sense of despair lingering around the town of Taiji. Over the past three days, a family of over 100 Pilot Whales was completely torn apart. On Tuesday morning, these animals were chased down, traumatised and herded together- their captors taking complete advantage of what mankind has come to learn about cetaceans; their use of sound for sight- or, echolocation. In a chaotic and deafening few hours on Tuesday, these majestic creatures fell from freedom and were confined to nets and jagged cliff-faces- in the next few days, they would lose part of their family. Yesterday, 14 of the most sizable adults were slaughtered within the killing cove, as the others watched and listened- whilst swimming in the blood of their family members. Another 7 large adults were taken from our oceans early this morning… the rest were released hours later. On the central coast of California, we are facing the reality of PG&E doing seismic testing in our pristine waters. :”If we allow seismic testing by PG&E, are we really any better, anymore humane than Taiji? NO SEISMIC TESTING! Marine life should not have to give their lives for a worthless. unnecessary ruse that so far many people are still buying into and do not yet understand the ramifications! Wake up! Get your heads out of the sand! Do the homework! Read what those that care are researching, finding out and posting . . .